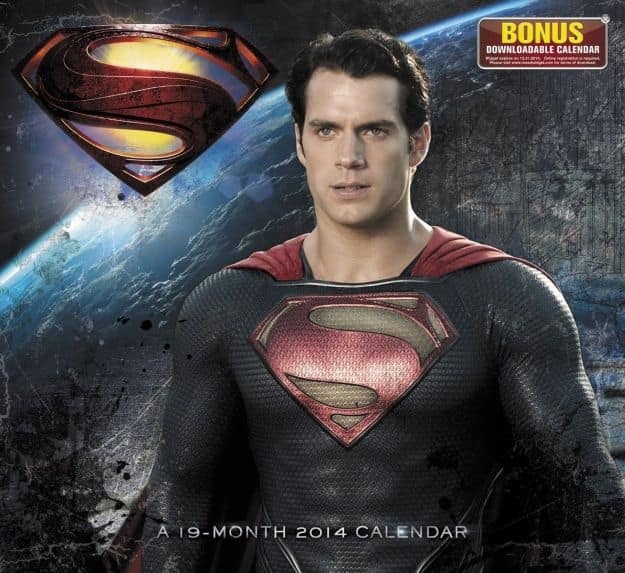 The cover of the Man of Steel Calendar. Catch the film in theaters June 14. Star Wars The Force Awakens: First Photo of Andy Serkis! Captain America Civil War: Jeremy Renner Shows Off Logo! Knights of the Roundtable: First Photo & Synopsis Revealed!